Advocate Thuli Madonsela has been the Public Protector of the Republic of SA for the last seven years. The Constitution requires her to retire after seven years – this she did at midnight last Friday evening. She was to release her report into allegations of state capture on Friday, her last day in office. However, President Jacob Zuma applied to the courts to stop her from releasing her report. Effectively, he has gagged her, told her to shut up, Thula!, and had the report resigned for the time being, under lock and key. The last few weeks have been dramatic – student uprisings at campuses across the country, the reports of the Public Protector, the shananigans of the President, the arrest of the Minister of Finance, Court Orders and counter-orders. Who knows what this new week will bring? Phillip’s university should re-open on Tuesday after having been closed for a month. Let’s hope and pray that it works this time – an attempt last week met with more violence and student demonstrations. 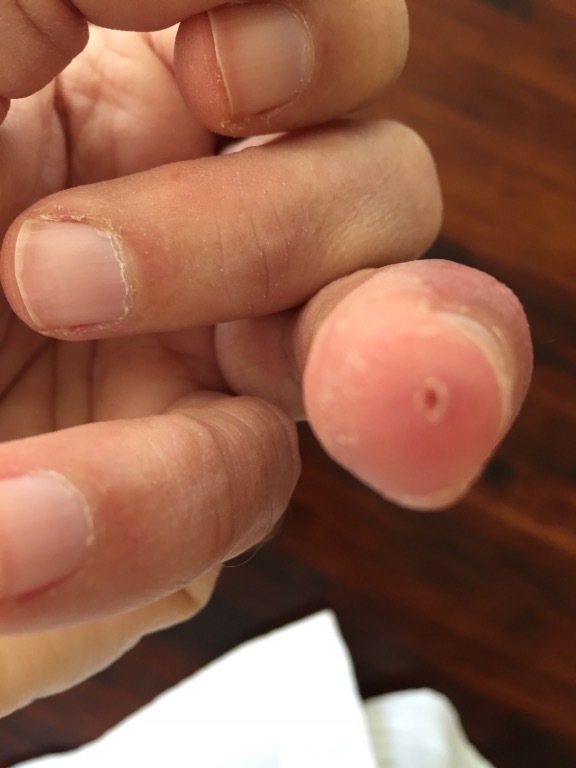 My finger has had its pin removed after two months and now requires physiotherapy, massaging and manipulation. It has been a long haul since the beginning of June when the tendon snapped. Such a little ring finger requiring so much attention! My mind needs attention and care. After ten years of illness, it is starting to play up. It is the one part of my body that needs urgent and ongoing maintenance. My hammies are paining and my calf muscles spasming. Thank goodness for the massages by James and Julian that keep me moving. And the wind continues to blow … are these our winds of change? Is this the start of our African Spring? There appears more to the violence and uprisings than the “Fees must fall” – the Free Education for All Campaign. Who is giving the finger to whom? Source: BrainStorms – Ed Lunnon’s Blog.